Sitting on a barstool is so yesterday. 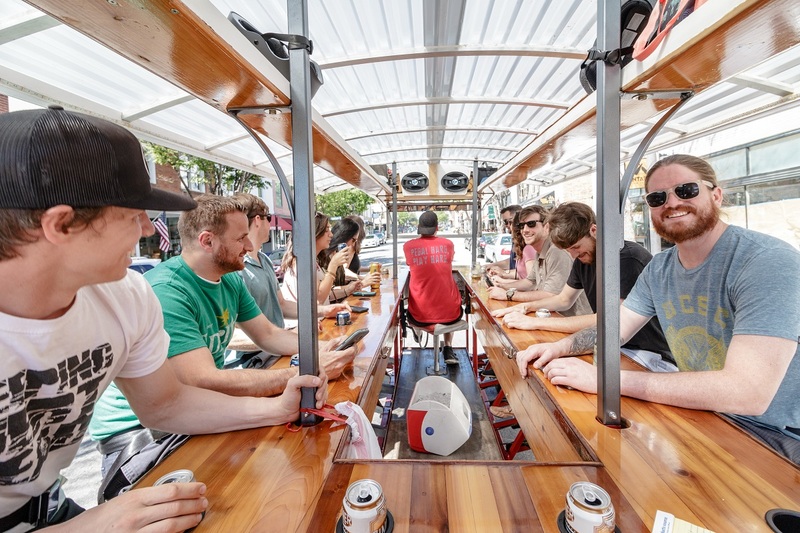 Wilmington’s Trolley Pub is an interactive way to bar hop in downtown Wilmington. 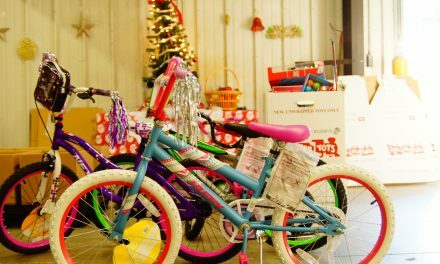 “I’ve got three bikes in here goin’ faster than y’all!” quips an older gentleman, who pulls up beside us in his VW bus. His bikes, of course, are securely stowed in the back. My husband, Tom, and I are sitting at the light at Second and Market streets, accompanied by a crew of about a dozen 20-somethings and barely 30-year-olds. 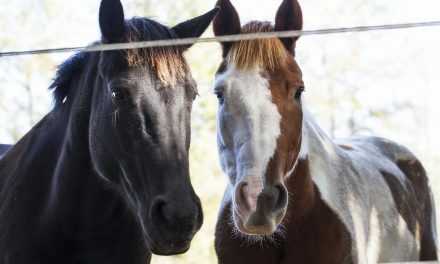 What brought this going-nowhere-fast group together? The Wilmington Trolley Pub. We all cheer at our new friend’s good-natured observation — though we are definitely going at a snail’s pace. The light turns green. “Alright, LET’S GO! CHARGE!” our leader and tour guide, Jon Green, calls out from the driver’s seat. The giant trolley bus clumsily makes the left turn when, suddenly, what used to be a slight incline between Market and Princess streets becomes K2. Quads and calves are burning at each pedaling station. (Though Tom and I are more cheerleaders than anything as we sit on the caboose bench.) Our party just barely makes it halfway up the street when mercy is granted and Green engages the auxiliary motor to move us all along. Everyone cheers, and we happily sip our Oskar Blues Pinners we packed for the ride. OK, yes, the Trolley Pub is a bit touristy — but come on, we live in a coastal community and lots of fun things are touristy. 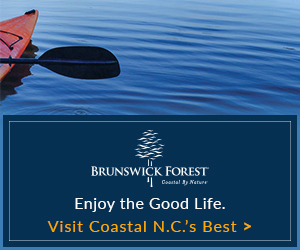 That doesn’t mean we’re too cool to go paddleboarding on the Intracoastal at Wrightsville Beach or kayaking on Greenfield Lake (we just won’t do it on a holiday weekend — because that’s nuts). I first saw one of these beer trolley rigs when we lived in Savannah, Georgia. Sadly, we never got to take a ride before moving to Wilmington several years back. So we decided to give Wilmington’s Trolley Pub a try. This is our guide’s second tour of the day, and there are three more to come — with the last leaving the station at 10 p.m. Each tour is two hours long with a half-hour in between to recharge the battery for the small trolley engine that just saved us from being stranded in the middle of downtown’s Second Street. Green is one of three tour guides and Trolley Pub’s assistant general manager. Originally from southern California, he moved to Wilmington from Denver, Colorado, in May 2016. Green wrapped up his noon tour not long before ours, and his passengers asked if they could stay for the next one. Though he’d love to say yes, he suggests they double book next time for an extra-long day of traversing downtown Wilmington. I’ve never met someone so enthusiastic about his work — especially when the job is escorting a beer- or wine-fueled band of partiers. 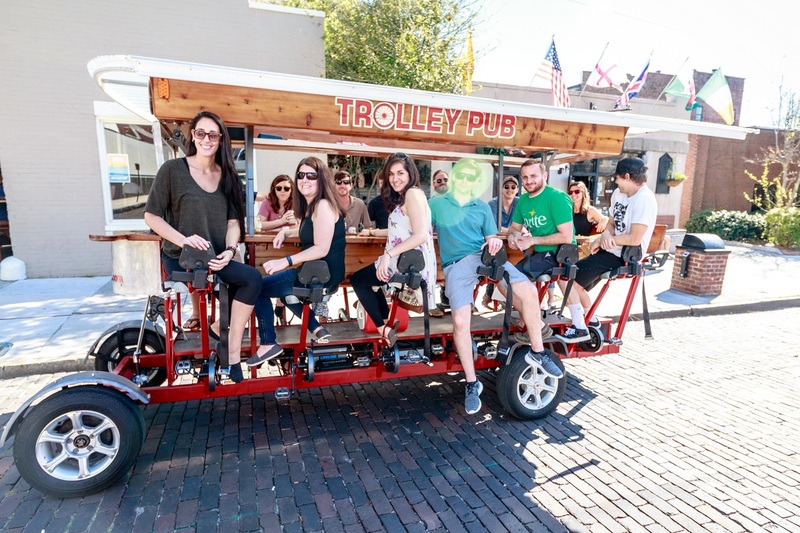 Folks who enjoy a bit of weekend day drinking, and not being tethered to a bar stool, could get a kick out of the Trolley Pub. It’s almost like being back in Savannah or New Orleans, where residents and visitors can walk around with “road sodas” from place to place without being policed, as there are no open-container laws of the land. There are similar tours across the country, and every city’s permitting process is different. 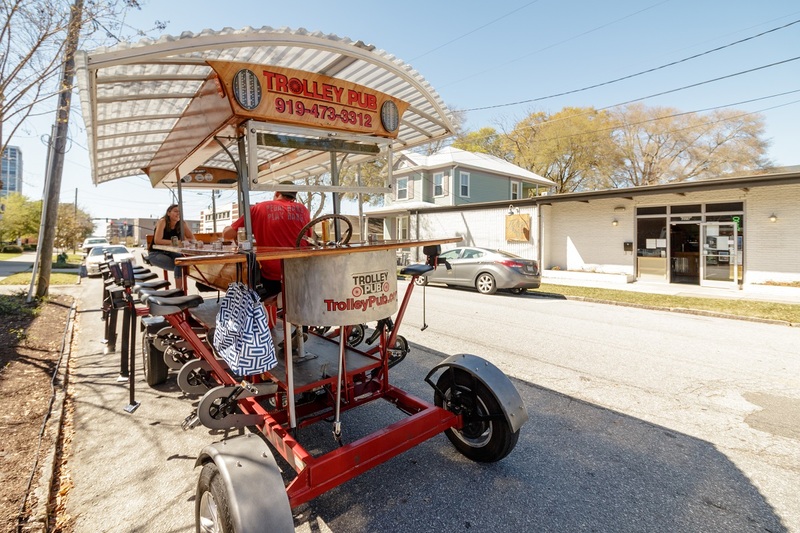 The City of Wilmington has allowed Trolley Pub a specific route it can use to hit up bars and breweries across town — with Flytrap Brewing on North Fourth Street being the farthest stop from their starting point at across from Barbary Coast on Front Street. 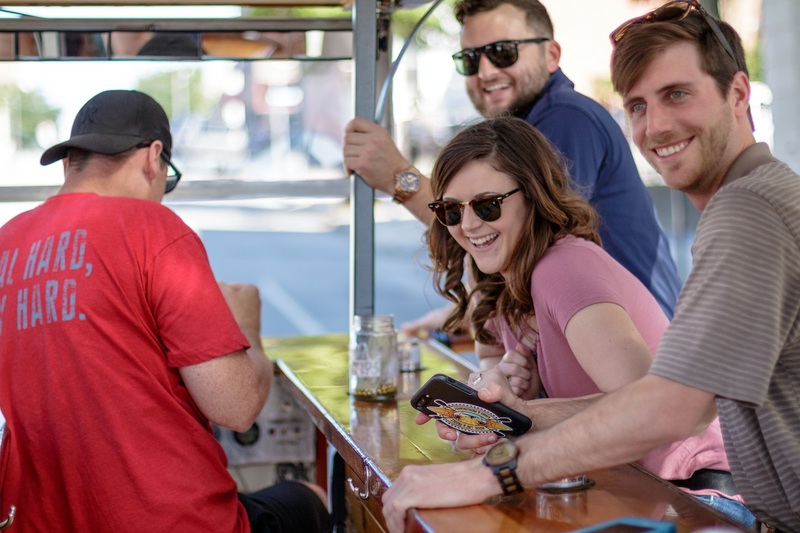 Though they’re not as big as their sister tours in Raleigh or Charlotte, the Wilmington operation has been one of the most successful NC Trolley Pubs in their first year since opening in January 2016. With Wilmington’s one trolley bus, they can run up to five tours a day. We stop for a moment because of pre-teen skaters trying to tag along by grabbing our bumper — a big no-no. Though he has to remind folks on and off the trolley about the rules of the road now and then, Green says it’s rare to have excuse riders from the trolley. Outside of reading, understanding and accepting the Trolley Pub rules posted on their website, folks should just come with an open mind to optimize the experience. “Debbie Downers” aren’t common on Green’s tours, but it happens — so don’t be that guy or gal. It’s (hopefully) a nice day. It’s an outdoor tour. There’s booze. Be happy. For folks who want to book a private party for eight to 14 people, the cost is $400. Guests are not limited to drinking age, but they must be at least 16 to board to the tour. 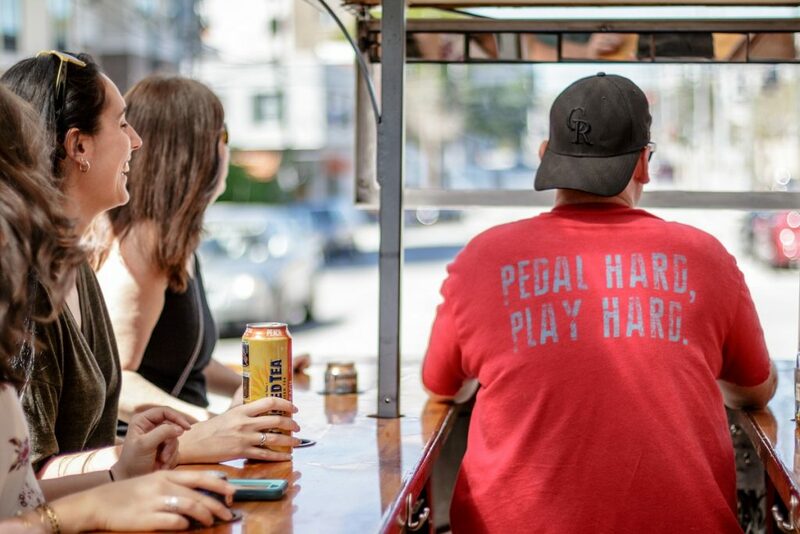 Anyone not prepared to pedal the plains and hills of downtown Wilmington can settle in the back seat or one of the two other non-pedaling stations. “All of our drivers are accommodating,” Green says of their routine of clearing all the empty cans and trash; helping elderly or differently abled passengers on and off the trolley; and guarding anything left on the trolley while riders hang out inside one of the bars or breweries. 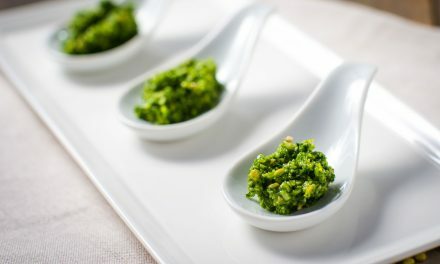 As for us, everything went downhill after we left Flytrap — in a good way. We coasted down the stretch of Chestnut between Third and Water streets to gradually make our way along the Cape Fear River. It was a perfect day to visit a couple of favorite watering holes of downtown Wilmington — albeit, slowly.